This recipe features a leg of lamb roasted on a tripod over an outdoor fire pit. The fire pit can be easily constructed. Ideally, the pit will be one to two feet deep with earth or other sides to keep in the heat. Build a large fire of hardwood and charcoal. The smoke from fruit wood, such as apple or cherry, will add additional flavor. Continue feeding the fire for about three hours before cooking, so that you develop a deep bed of hot, glowing embers. Featured in Heavy Table Online Magazine. One of the strengths and benefits of the USAID Farmer-to-Farmer (F2F) Program is that the volunteers and local host organizations often develop and maintain strong relationships long after the volunteer assignment ends. Our July Volunteer of the Month, Judy Moses, is a wonderful example of this. 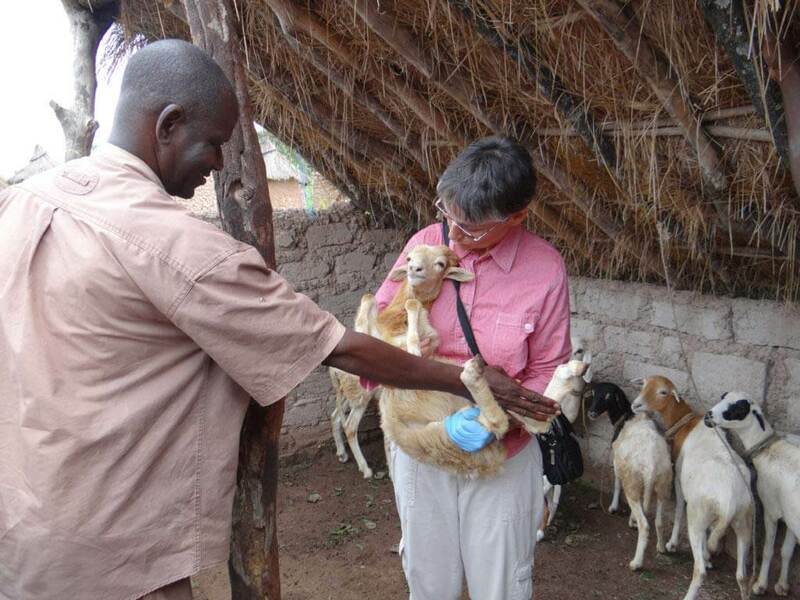 Judy, a member of the Browse & Grass Growers Cooperative in Wisconsin, has volunteered with Winrock six times since 2010, supporting a few different farmers associations in Mali and Guinea. On subsequent trips to the same country, she builds in time to check in on her previous host organizations, and over the years she has formed a deep mutual respect and friendship with both her beneficiaries and the local Winrock staff. As a result of these connections and a deep commitment to improving the lives of African farmers, Judy recently won a small grant award with the Browse and Grass Growers Cooperative to manage her own Farmer-to-Farmer program in Mali. We asked Judy to reflect on her prior experiences as a F2F volunteer. She shares her thoughts in this article. 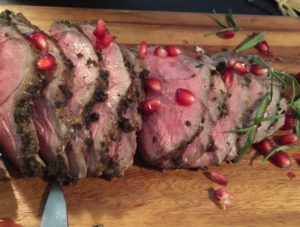 The lamb loin, also called a saddle, contains meat from the three most prized cuts, equivalent to the T-bone, porterhouse and tenderloin in beef. The famous tenderloin lies protected under the backbone and is a very small strip. The loin meats are delicately marbled, with an elegant flavor that brings a note of luxury to any meal. The fat of grass fed lambs should taste clean and fresh. 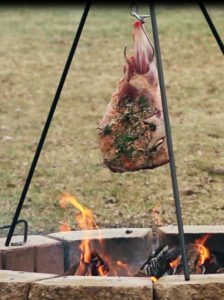 In this recipe, the backbone will be removed (see steps in video) leaving the meat to be rolled and tied before grilling. The result is a very tender roast, easy to carve and with a minimal amount of fat. With no bones and a nice cylindrical shape, can be easily sliced into medallions and served. It is perfect to enhance a special occasion. 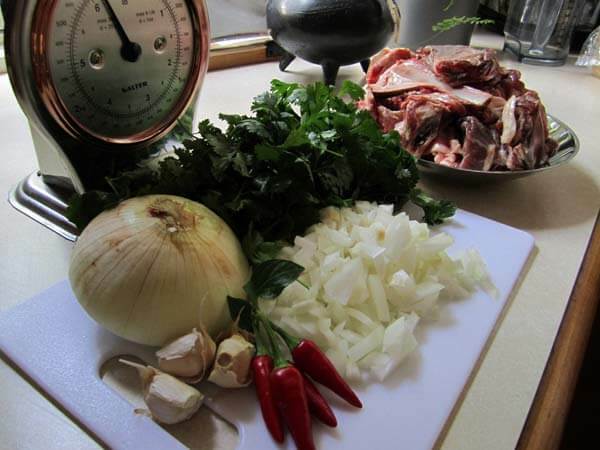 This recipe, provided by chef Geoffrey Blythe using Shepherd Song’s goat meat, practically guarantees tender and delectable results, with the mild flavor of the meat enhanced, but not overpowered, by the marinade and rub. 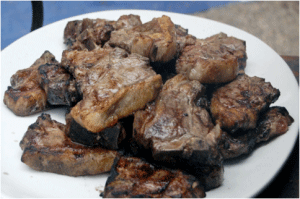 Why try goat meat? Environmentally, goats move gently across the earth while delicately browsing. They do not adapt well to factory farm environments, so meat goats are seldom if ever raised using intensive and medicated methods. Similar to deer, goats thrive on brush; they browse, turning foods humans cannot digest into valuable protein from meat and milk. The meat of young goats is delicate and succulent without the stronger flavors of venison or the fat layers of lamb. Goats have readily adapted to a variety of environments from deserts to tropics to highlands. Full recipe. Featured in Heavy Table Online Magazine. Nothing can make harsh, cold weather more bearable than the comforting textures and flavors of slow-cooked meats and vegetables. 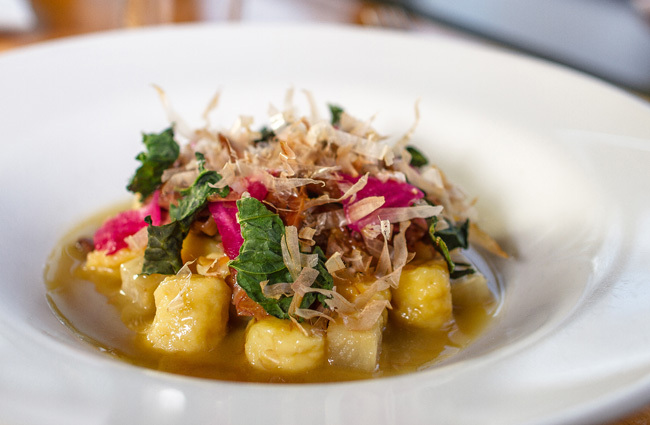 Chef Alex Roberts and his team at Restaurant Alma are currently preparing a wonderfully delicious gnocchi with black kale, turnips, and locally raised Shepherd Song lamb (above). 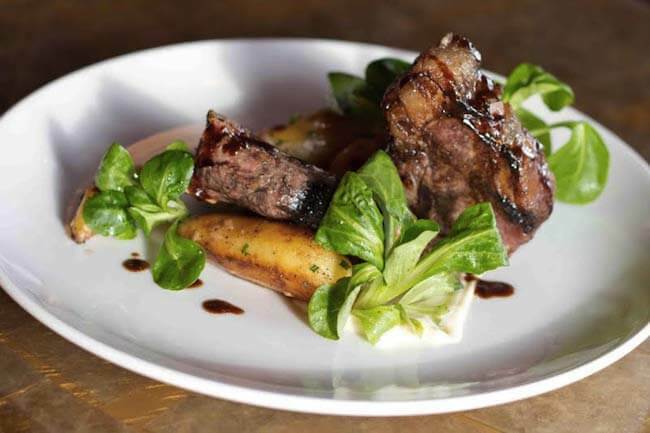 Try the succulent, complex flavor of braised Shepherd Song lamb and many other wonderful local products as part of a three course dining experience at Alma tonight. Restaurant Alma opened in 1999 and specializes in serving a seasonal multi-course menu in a casual, hospitality driven environment. 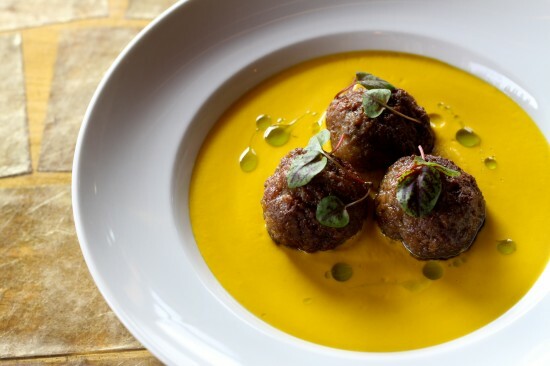 The cooking is eclectic in style and handcrafted using fresh, organic, and local ingredients. Alma is currently rated #1 in the Twin Cities on Open Table for food and recently earned Zagat’s 2014 #1 overall restaurant ranking among all Twin Cities restaurants. Restaurant Alma is open for dinner seven days a week starting at 5pm. Shepherd Song, a local farm provider, raises 100% grass-fed lamb and goat meat and is located near Menomonie, WI. Visit them online and use coupon code lamb15 for a 15% discount on premium lamb and goat products. Jason Gibbons, executive chef at Zelo and Bacio, goes to great lengths to source, prepare, plan, and deliver consistent, high-quality food in a high-volume setting. For him, it is only natural to partner with local farmers who feel the same way about what they do. 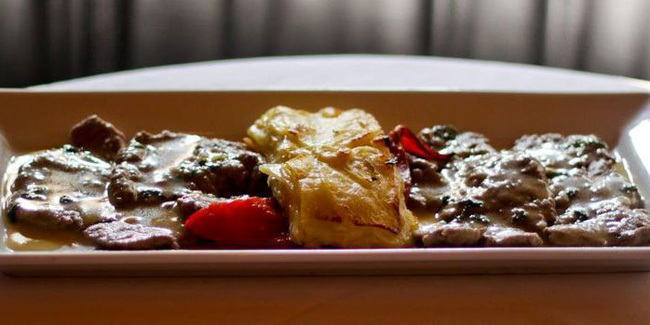 His Leg of Lamb Scallopine is perfect for Mother’s Day or any family dinner and uses locally raised, Shepherd Song, 100 percentgrass-fed, leg of lamb. 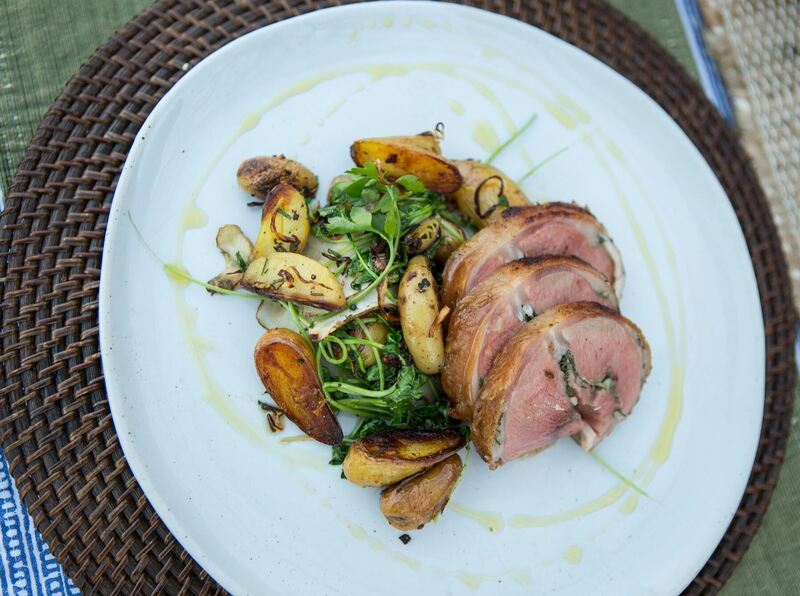 Shepherd Song Farm raises 100% grass-fed lamb and goat meat on the meadows of Wisconsin. The cool northern summers of the upper Midwest result in outstanding pastures that produce premium, lean lamb and goat in a healthy environment. Lamb is one of those things you see in the market or at the butcher shop and might be tempted to buy, if only you knew how to cook it, right? 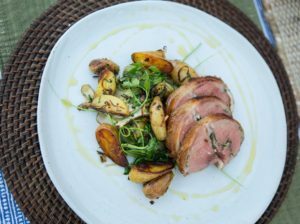 Monica Walch sat down with executive chef Sarah Master of Barbette’s to discuss methods of cooking grass fed lamb at home. The discussion started with the “middle” cuts* as Shepherd Song has noticed that these are the most popular products purchased from their online store. Recipe and picture courtesy of Chef Lucia Watson, Lucia’s Restaurant, Minneapolis. Enjoy the colors of autumn with aromatic, succulent, slow cooked lamb shank and late season root vegetables. This is a leisurely preparation filling the kitchen with wonderful aromas. 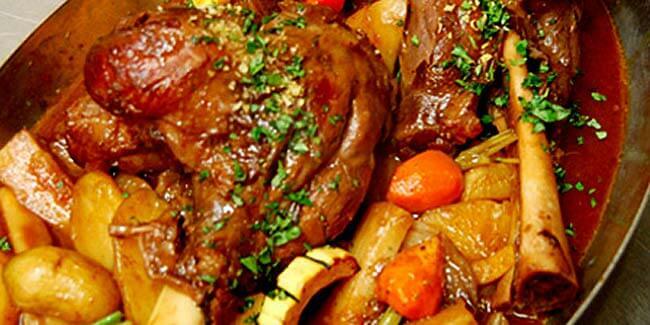 In this recipe, the low-fat, grass-fed lamb shanks are stove-top braised for 2-3 hours. Have you ever wondered where all the pumpkins go after Halloween? 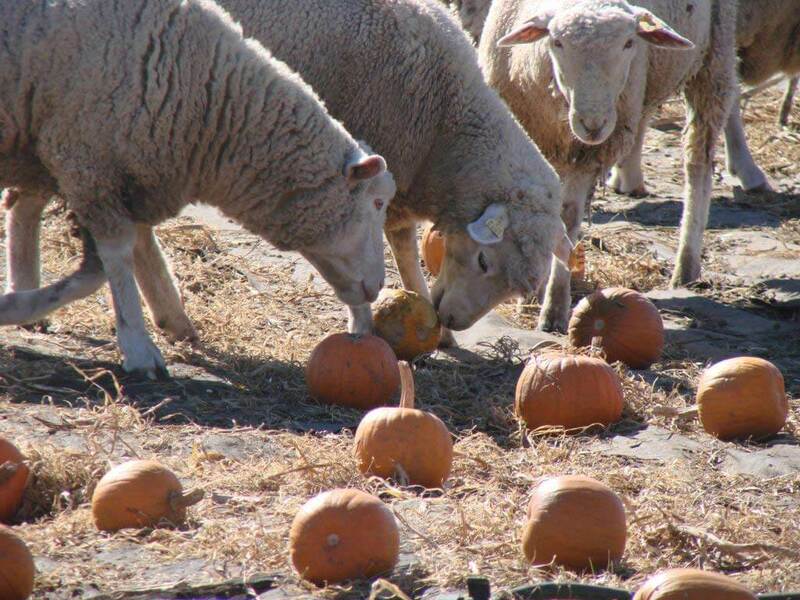 The lambs, sheep, and goats at Shepherd Song welcome leftover pumpkins; big, small, or broken. They do not like to share and will shoulder or head bump to maintain ownership of the full pumpkin. Opening a pumpkin without hands or tools is a learned behavior and passes on through the flock as members become skilled pumpkin eaters. Grilling Tonight? Try Shepherd Song’s Lamb Chops! Are you grilling tonight for family or friends? Need some new ideas? Grass-fed lamb is easy to grill successfully if these two guidelines are followed. First, in general, grass-fed meat requires less grilling time, at least partly due to low fat levels. Overcooking is common and will significantly diminish flavor and texture. Rare to medium rare is optimal. Allowing grilled cuts to rest for 5-8 minutes before serving allows the juice to redistribute and adds to the flavor. Lamb is naturally tender and delicious straight from the grill with just some salt, pepper, and olive oil, as illustrated in the pictures. While only simple seasonings are needed, lamb meat has an affinity for many spices and herbs, resulting in a variety of traditional and unique flavors, as in this recipe for grilled, marinated loin chops.